Parents and caregivers do everything they can to keep children safe from injury or accidents. No matter how much we work to keep our kids safe, however, sometimes the unthinkable happens. Such is the case in a recent string of tragic accidents involving children across the United States. In just over a week, there have been at least five reported accidents involving children being hit by cars while waiting for the school bus. A 6-year-old boy in Mississippi was killed when he was struck by a truck while crossing the road to get to his morning school bus. In Rochester, Indiana, four children were hit by a pickup truck in the same manner. One child is in the hospital with life-threatening injuries, and three others – 6-year-old twin boys and their 9-year-old sister — tragically died at the scene. They were crossing the street when 9-year-old Alivia Stahl threw herself on top of her brothers to shield them when she saw the oncoming truck. The 24-year-old driver stayed at the scene and cooperated with police but is being charged with three counts of reckless homicide and other charges related to disregarding a stop sign. Days later, three children and two adults were struck by a speeding car while waiting at the bus stop in Tampa, Florida. They were seriously injured, but thankfully survived. The driver also stayed at the scene but was arrested, although the circumstances of his arrest have not been released. And just a day earlier, a 7-year-old boy was struck by a slow-moving vehicle and killed while waiting at the bus stop. The driver fled the scene and the boy was discovered dead at the bus stop by the bus driver. These tragedies are each heartbreaking on their own, but it is almost impossible to believe that all of these occurred within a week of each other. In each accident, the greatest factor was that the driver was at fault for not paying proper attention. Whether or not we’d like to admit it, we have all likely been guilty of turning our attention away from the road briefly. Tired morning commuters may be reaching for their coffee cup or changing the radio station. The seasons are changing, and it is often dark in the mornings when children are walking across the street or standing at the curb. And it takes only a moment for tragedy to strike if someone is texting or making a phone call and they run a red light or don’t see a stop sign. Whatever the reasons behind these tragedies, they are happening at a frightening rate every year. Weather, fatigue, speed, or looking away from the road for a fraction of a second can mean the difference between life and death. So what can we do to prevent these tragedies from occurring in our own communities? We obviously cannot control the behaviors and poor choices of drivers who pass by our children’s bus stops. But we can instill an attitude of safety in our children. First and foremost, children in elementary school should always be accompanied by at least one parent. Work together with friends and neighbors whose schedules can accommodate being the “school bus parent” each day. If you must leave early for work, find a trusted adult to wait with your child in exchange for helping them with something at a later time – homework, babysitting, or picking up all the kids from school in the afternoon. Second, no child of any age should stand at the bus stop alone. Apart from these tragic accidents, even a teenager can become sick or injured or can be approached by a stranger. The buddy system is always best. Middle and high schoolers who don’t drive to school should always stay in groups and be aware of their surroundings. And Consumer Reports has some valuable tips that all parents should discuss with their child – and remind them of frequently. Children should arrive at the bus stop early. A child who is running late and rushing not to miss the bus is likely not paying adequate attention to their surroundings. Maintain a safe distance from traffic. Children and parents should stand at least six feet back from the curb, and never in the street until the bus makes a full and complete stop. Wait for cues from the bus driver. Children should always wait to approach the bus until it has made a complete stop, the buses’ stop sign is up and flashing, and the driver has opened the bus doors. Bus drivers can help by looking in all directions and verbally giving the “all clear” to waiting children. Remain visible at all times. Remind kids to never, ever walk behind the school bus or stand beside the bus where the driver – or other vehicles – are unable to see them. If children must cross the street to get to the bus, they should walk at least ten feet in front of the bus, looking both ways, using a crosswalk if available, and only after receiving a cue from the bus driver that it is safe to cross. Never stop to pick something up. Kids have a lot to carry when they are getting on the bus in the morning. Remind your kids to never stop in the road or near the bus to bend down and pick up a dropped book or lunch box. Tell kids to board the bus and tell the bus driver that they dropped something in the road, and then have a parent or bus aide retrieve it for them. These rules apply to kids of all ages and should be repeated often. Most parents driving the roads are aware of how easily kids can be distracted, or how they can get caught up in playing at the bus stop and move too close to the road. We may be more observant and careful drivers when we have our own children, but we can also spread the word to others in our communities. Always obey the speed limit in neighborhoods and watch for flashing school signs when driving past a school. Be vigilant in the mornings and afternoons, and never take your eyes off the road. No phone call or cup of coffee is worth hitting an unsuspecting child. Never pass a stopped school bus, and look in all directions for children walking when a bus is stopped and its flashing lights are on. Report anyone who is speeding through neighborhoods or in school zones to the police. Get to know your child’s school bus driver and make them aware of any special needs your child has, especially if it involves their ability to pay attention at the bus stop. We pray for the families of the children killed in these tragic accidents in recent days, and we must work together to prevent any other tragedies like these from occurring. 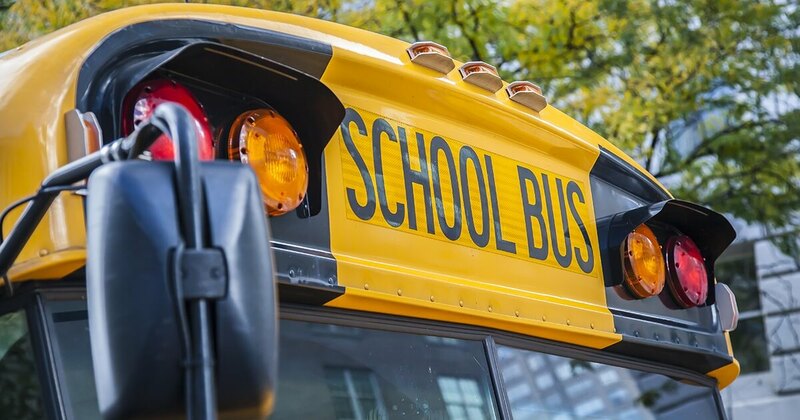 Do you have a bus stop safety plan for your child? Leave us your comments.